This delightful young lady decided to see Dr Oakley Smith after reading his reviews on RealSelf. She wished for a smaller nose, straight bridge, narrower tip area and to rotate her tip upwards as it appeared droopy to her. 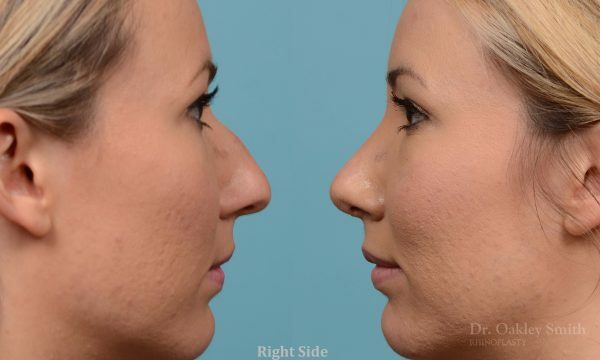 Although she knew she wanted her bump removed, she wasn’t sure what she then wanted her profile to look like. 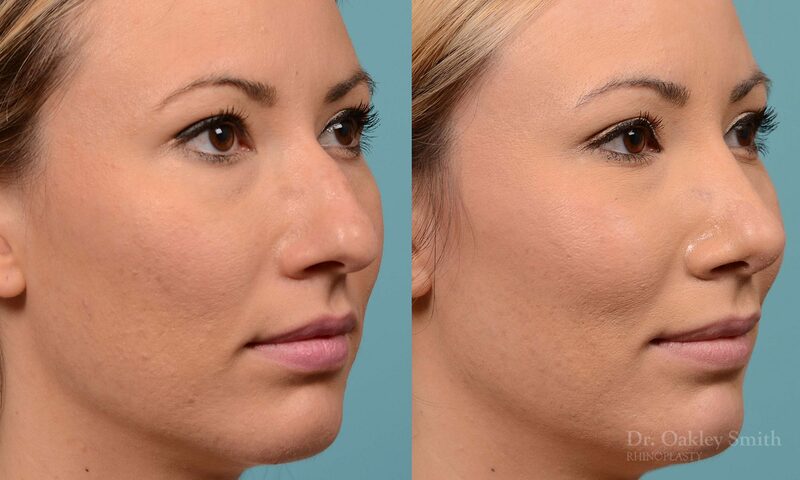 Removing nasal bridge bumps or humps is likely the most common request cosmetic rhinoplasty surgeons hear. 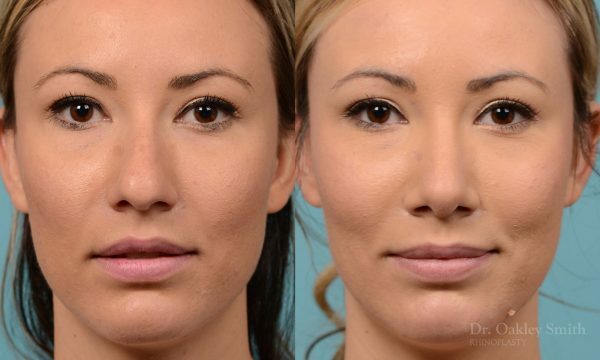 Fortunately it is also likely the most successful maneuver facial plastic surgeons do. The options after removal are four. The profile can retain a smaller bump. This has the value of appearing very natural. It really is only an option for men and in fact is seldom chosen. The profile can be made straight. This is the ‘unisex’ choice as it ‘works’ for both men and women. It is by far the most common request by men. The other two options are only chosen by women as they are create a feminine look. The bridge can be shaped into a curve. This is the most popular choice for women because it’s soft and feminine appearing. The final option is to create a slight tilt to the profile by making a ‘break point’ just above the tip. This style of profile is also called a retroussée tip. 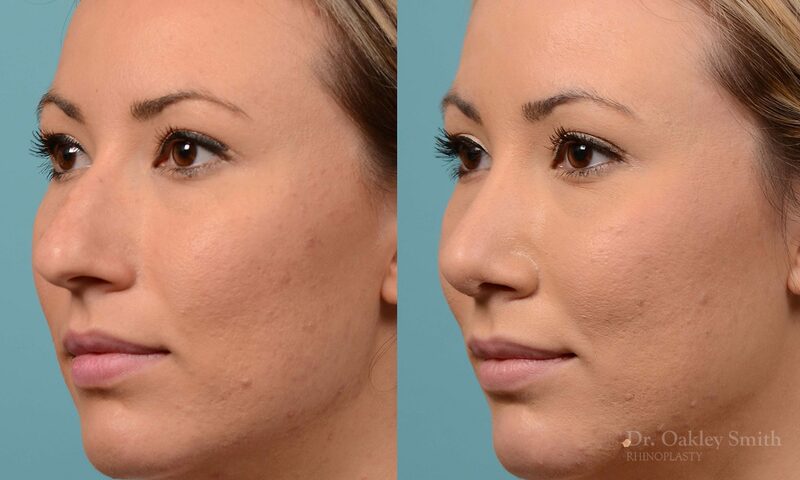 The skin in the area of the nasal bridge hump is the thinnest of the nose. Unfortunately this area has a complex interdigitation of bone and cartilage. When the overlying smooth surface of the bump is removed, below the anatomy between the bone and cartilage is like a dovetail joint. This results in a series of ridges and valleys which, regardless of the skill and dedication of the surgeon, cannot be completely made smooth. 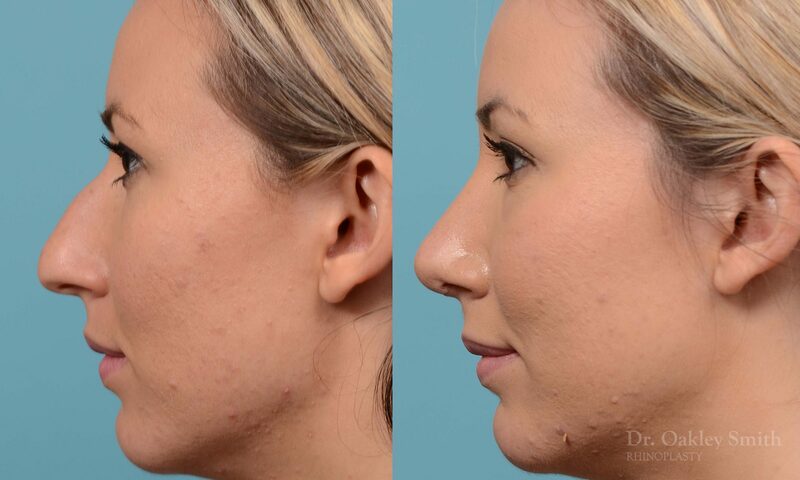 If these irregularities are big enough and the overlying skin is thin enough, then the result is often subtle and minor imperfections across the nasal bridge can be seen. Once again, it’s very important for people to realize and understand that cosmetic rhinoplasty creates improvement, not perfection. If slight imperfections are going to cause someone not to be able to enjoy their better appearing nose, then it is best that rhinoplasty isn’t done, as that person will not feel it was worthwhile and won’t get any satisfaction and joy for the process and final result. Dr Oakley Smith is available for consultation to review your options regarding cosmetic rhinoplasty surgery. He is based in Toronto and is known as an experienced and skilled rhinoplasty surgeon.